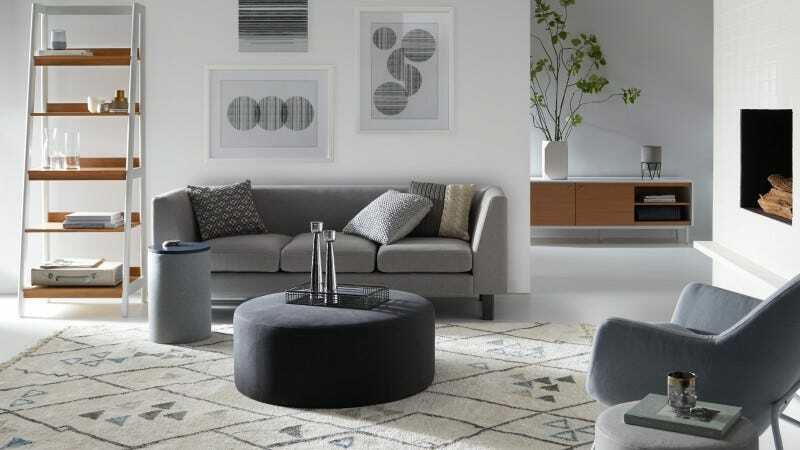 Walmart Wants You to Forget What You Think You Know About "Walmart Furniture"
“Walmart furniture” has long been a pejorative term for furnishings you might find in a dorm room, but they’re looking to change that with the new, online-only MoDRN collection. Featuring over 650 pieces spread across three different lines (Retro Glam, Refined Industrial and Scandinavian Minimal), the move seems like a clear response to Amazon’s surprisingly great Rivet and Stone & Beam furniture lines. Prices are higher than one might expect from Walmart—think $700-$900 for sofas—but are still reasonable compared to dedicated furniture stores. And while looks are subjective, I think the designs are mostly pretty tasteful and appealing, with a good mix of the modern industrial and midcentury modern touches that are in fashion these days. Basically, it looks a lot like Amazon’s furniture. Or Target’s furniture. Or like the furniture in that bougie bar that just opened down the street last week. Or the niceish restaurant that opened a week before that. But hey, if that’s your aesthetic, these prices are approachable, and since it’s Walmart, returns are easy. Is It Possible To Be In Love With a Couch From Amazon?